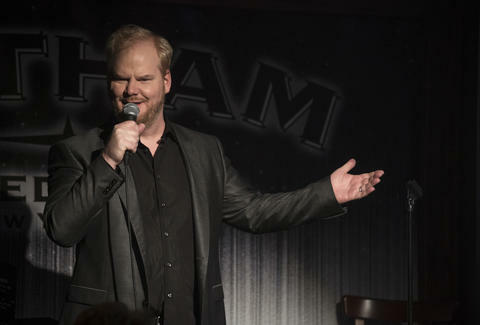 You know that comedian Jim Gaffigan is pale, that he's no fan of seafood, and that his latest project, The Jim Gaffigan Show, premieres Wednesday July 15th on TV Land. 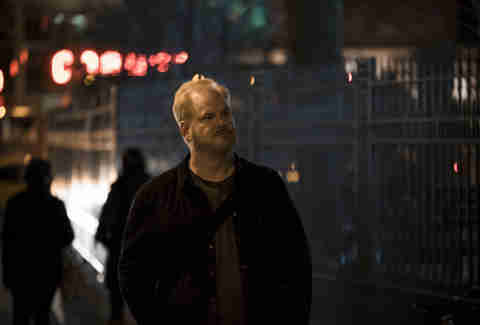 But there's also a lot you don't know about Jim Gaffigan. 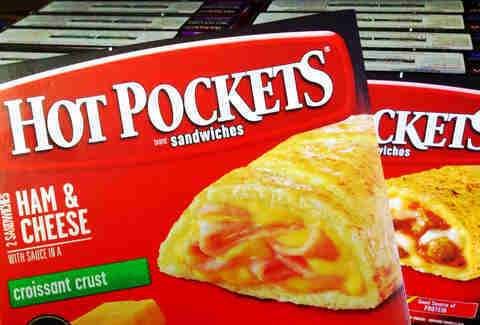 For one, rumors of his Hot Pockets obsession are greatly exaggerated. We sat down with Jim Gaffigan to find out more about both microwaveable foods, and the man who prompted us to re-examine them. "I enjoy growing things. I mean I live in Manhattan and we have like tomato plants, but there’s something very rewarding about it. Like I get it, and I think I’m kind of drawn to that strange isolation. I could enjoy sitting on a tractor for five hours and then just going in and eating, not even talking to my wife, and then going back out there." "It essentially prepared me to be taken care of by other people -- meaning my wife. I did grow up with a certain amount of chaos, but a lot of it has been blacked out. I think there is a familiarity for chaos. But I don’t like people. I don’t like being around people, but I like my children. It's not even narcissism. There are a lot of times when I’m like, 'What are they doing here? Oh they’re my kids.'" "I was in every version of Law & Order. I was in Law & Order regular, Law & Order spicy, Law & Order Special Victims Unit. I was in regular Law & Order twice, Special Victims Unit twice, Criminal Intent twice, and was in Law & Order Criminal Thing… I was in one of those. I think for New York actors that was a right of passage. It was huge. You were like, 'I got my one line.' 'Excuse me detective.'" "In my first Law & Order, I played a Greek guy. My character’s name was like Ekonopolis or something. So I played a Greek plumber and I was of course, you know, the detectives are talking to me and I’m like, 'Yeah I never saw that guy before. Oh that guy.' So it was pretty fun." "I don’t think I’ve had a Hot Pocket in like 20 years." "Why would I lie!? I did. At Georgetown." "Two of the characters I played on Law & Order were named Larry Johnson, and the character I played in Super Troopers was named Larry Johnson. 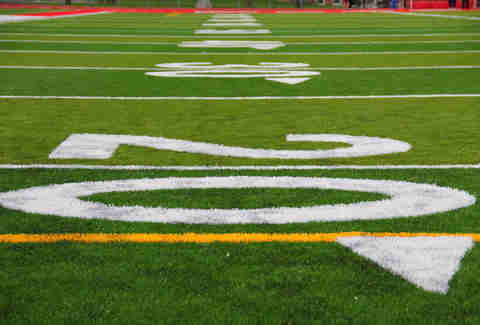 And I’m a former running back for the Kansas City Chiefs. So there’s a lot of Larry Johnson. What we know about Larry Johnson is that he is a very good looking guy, wears glasses, shouldn’t wear shorts." "We had five kids in a two-bedroom and we moved to a studio (laughs). Now we live in a bigger place. But it’s not big enough. If we could be in Madison Square Garden, we’d still be, 'We need a little more room.'" "Here’s the irony: I don’t think I’ve had a Hot Pocket in like 20 years. Maybe not 20, but I’ve probably eaten three hot pockets in my whole life. 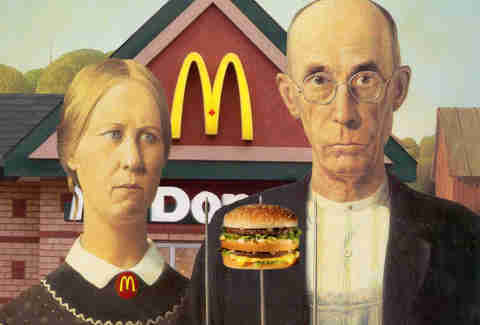 The idea for that joke was really the commercials." "This show is really ultimately the creative darling of my wife and I, and so to be able to execute that is a great opportunity. We're doing it at TV Land, and I don’t think we would have been able to do a show as good as it is on any other network. We were given a certain amount of autonomy, and now I can’t imagine going back to any other way."